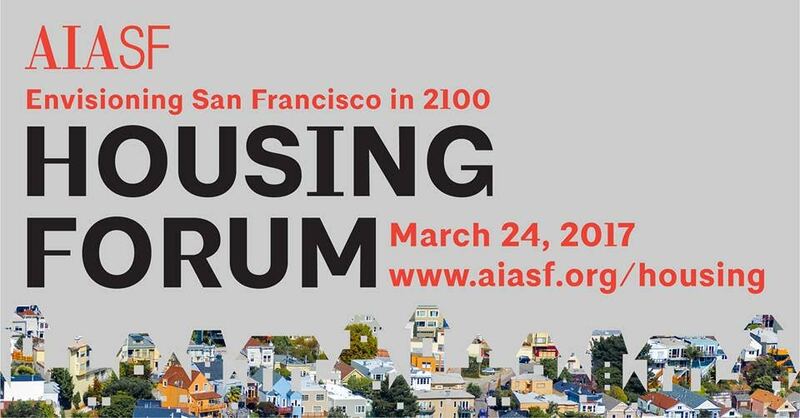 The American Institute of Architects San Francisco (AIASF) chapter will hold a housing forum on March 24th titled Envisioning San Francisco in 2100 that will focus on housing innovation for the San Francisco Bay Area. The forum will be moderated by architectural historian and Columbia University GSAPP Professor of Architecture Gwendolyn Wright and will work as a follow-up to a smaller convocation Wright presided over last fall. The forum will feature a keynote speech by Bay Area architect David Baker. Baker’s firm, David Baker Architects, works extensively across the Bay Area to promote and build innovative housing projects aimed at a variety of populations. Baker’s speech will be followed by a panel discussion and break-out sessions focused on issues relating to the use of public space, housing typologies, and housing finance and design with a special emphasis on what San Francisco’s housing stock might look like toward the beginning of the next century. Kearstin Dischinger, policy planner, citywide, San Francisco Planning Dept.